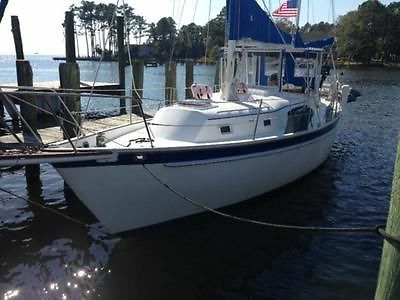 1977 Irwin 37 This Irwin 37 has always been in fresh water. Great cruising layout with nice galley and two stateroom two head layout. 40 hp Perkins auxiliary. 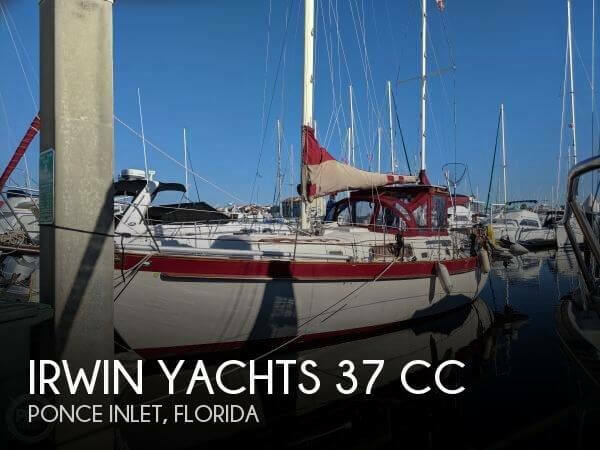 1982 Irwin 37-1 Same Owner Since 1978 Ketch Bow Thruster - Teak & Holly Sole Jib Boom - Jib Roller Solar Panels with Regulator This boat is on site, please call to set showing appointment. Sales office is open Monday through Saturday 9AM-5PM. Closed on Sundays. 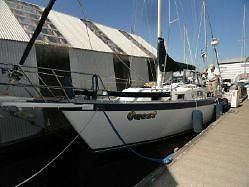 1976 Irwin 37 KETCH Gorgeous 37 Irwin Ketch in great condition with brand new sails and new winches. 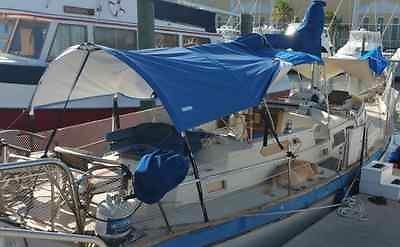 This is a classic older boat and a must see if you are an Irwin enthusiast.New SailsModern winches and winch coversNew roller furlings for headsail and staysailPerkins 4108 with 6000 hours with regular 6 month oil changesWindlass with stainless plow anchor and spare danforthDockside A/C and additional Honda generator to power A/C when on the hookRefrigerator and gimbaled stoveThis boat has 4 sails, Headsail, Staysail, main and mitzenInstruction manualsAND Everything Works on this boat. The Irwin is reported to be in turn key working condition. 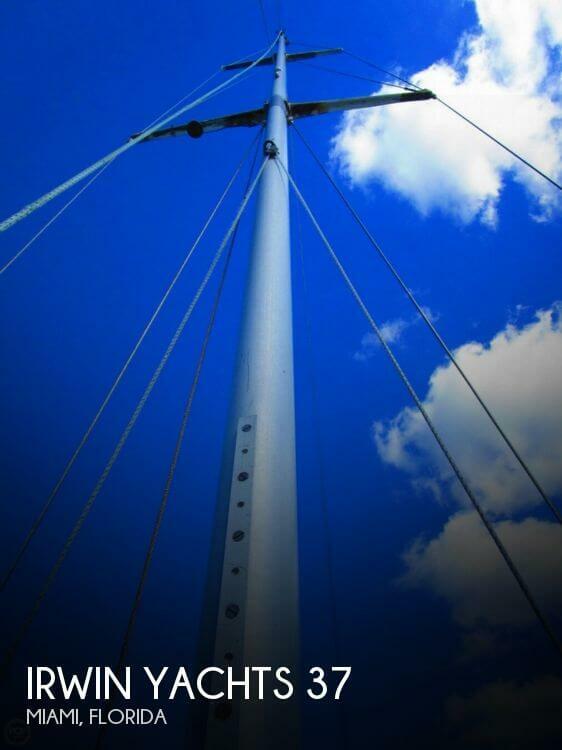 All electronics are fully functional, and all rigging and sails are ready for use. Key Features in working condition: Electronics: Log-speedometer Wind speed and direction Depthsounder VHF Compass Rigging Steering wheel Inside Equipment: Marine head Hot water Oven Refrigerator Battery charger Electric bilge pump Electrical Equipment: Shore power inlet Stock #123926 BRING ALL OFFERS LOTS OF ROOM AND READY TO GO OUT FOR YOUR NEXT WEEK LONG TRIP!! PERKINS 50HP DIESEL!! LOT'S INCLUDED WITH THIS BEAUTY! 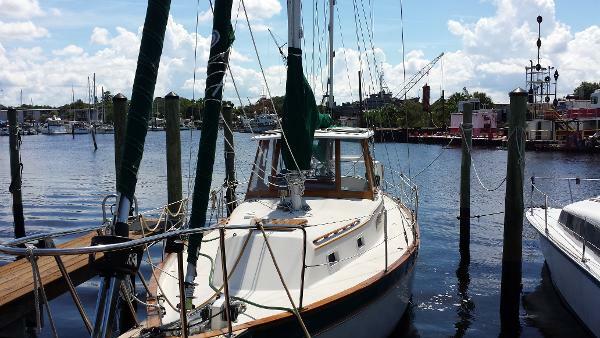 If you are in the market for a ketch, look no further than this 1979 Irwin 37, just reduced to $34,900 (offers encouraged). 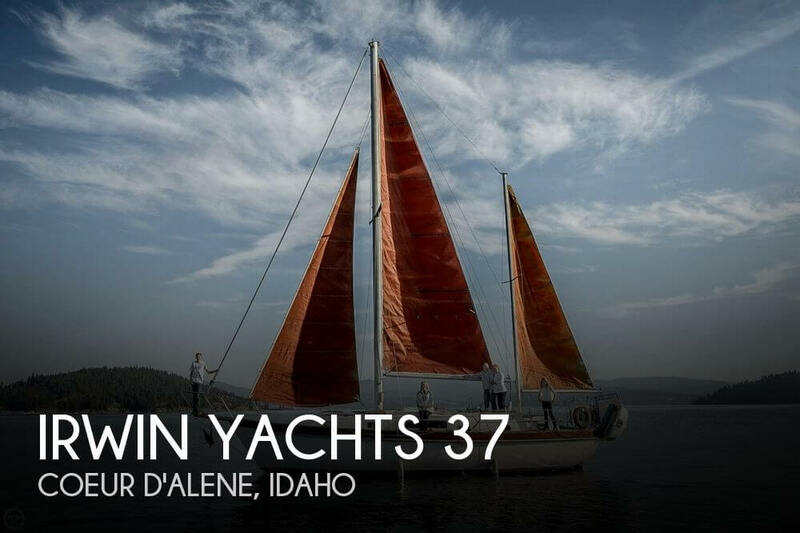 This vessel is located in Coeur D'alene, Idaho and is in good condition. She is also equipped with a Perkins engine. 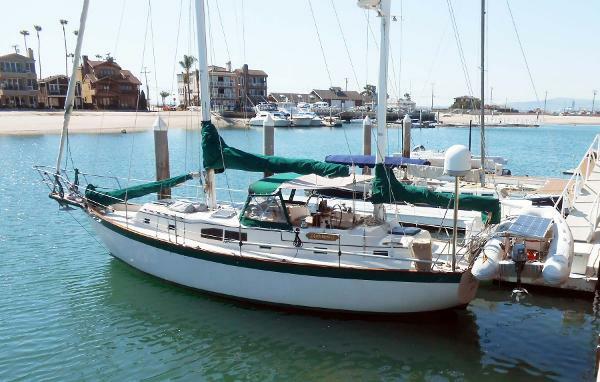 Reason for selling is seller is sick..
1976 Irwin Ketch The Irwin 37 a roomy, appealing, center cockpit cruising design introduced in 1971. Great boat for cruising to Mexico and coastal islands. Well equipped for your journey. Clearly the strongest point of the Irwin 37 is its layout, livability and considerable storage offered on a 37' boat. The layout of the 37 generally remained unchanged throughout it's production. There is a spacious aft cabin reached via a port side passageway from the mid-cabin main saloon, a separate galley to starboard and aft of the main saloon and a v-berth stateroom forward. There are two heads one next to the aft stateroom and one between the main saloon and forward stateroom. Large comfortable berths and spacious cabins make this a very comfortable boat dockside and at anchor. 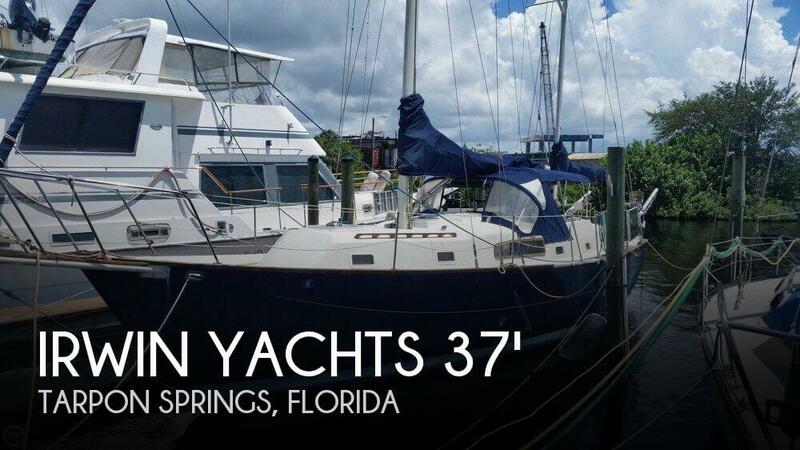 Per the Seller: This vessel has been cared for and can be extensively cruised as is or upgraded and enhanced by the new owners. 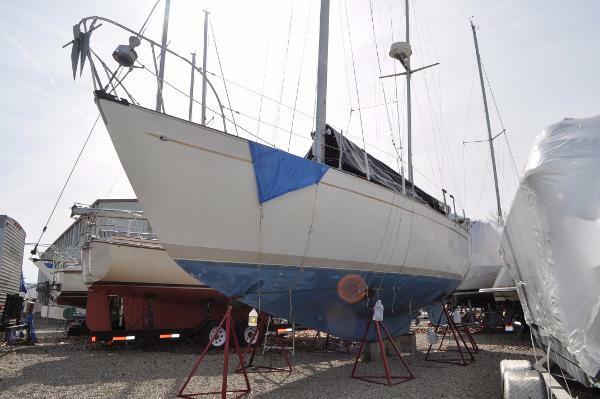 All essential items such as the battery, the Yanmar starter, and the fresh water pressure pump have been recently replaced to ensure the boat is ready to sail. 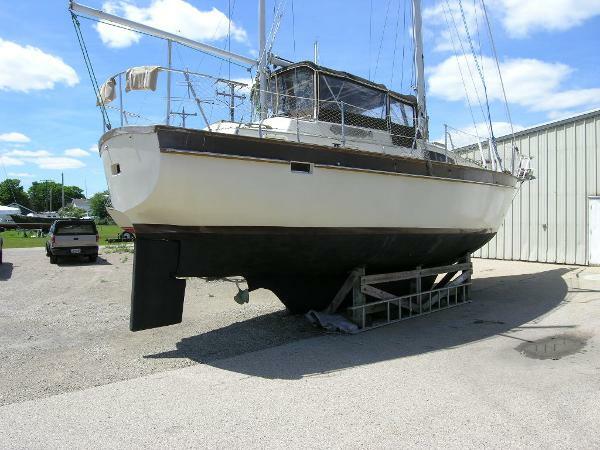 Stock #131766 Shoal Draft Irwin 37 repowered with Yanmar with only 75 hours! Loaded with Upgrades! Reason for selling is no longer using.